Acer on Wednesday refreshed its Predator line of gaming-grade hardware with a new monitor, desktop system, tablet and two notebooks. Judging by the aggressive aesthetics and respectable build quality, it’s clear that Acer means business with its new components. Let’s have a look. First in line is the Predator X35 gaming monitor, set to arrive during this quarter. 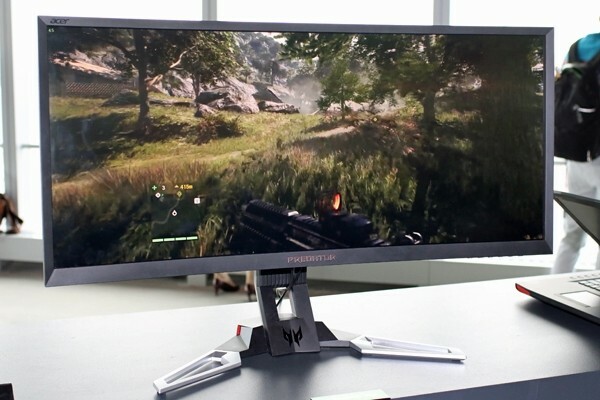 This curved, ultra-wide 35-inch IPS display (or 34-inch according to Acer's press release) features a 21:9 aspect ratio with a 144Hz refresh rate, integrated DTS speakers and Nvidia’s G-Sync technology. Resolution checks in at 3,440 x 1,440 and buyers will get five USB 3.0 ports as well as HDMI and DisplayPort connectivity. The third quarter will see Acer deliver its Predator desktop and tablet. Aside from the visuals provided by Tom's Guide, there’s not much else to go on as Acer was tight-lipped with regard to hardware specifications. As the publication notes, however, it’s probably a safe bet that we’ll see at least an Nvidia GTX 980 stuffed inside the matte black desktop chassis. Oh, and the tablet will run some form of Android (a given). Rounding out the year in Q4, Acer will launch two new Predator gaming notebooks. The massive vents across the rear of the 15- and 17-inch notebooks indicate there will be some pretty powerful hardware tucked under the hood but again, no specifics were given. Intel’s Skylake CPUs are probably a lot, but that’s pure speculation.